Some of the new quantum technologies ranging from extremely precise sensors to universal quantum computers require a large number of quantum bits in order to exploit the advantages of quantum physics. Physicists all over the world are therefore working on implementing entangled systems with more and more quantum bits. The record is currently held by Rainer Blatt's research group at the Institute of Experimental Physics at the University of Innsbruck. 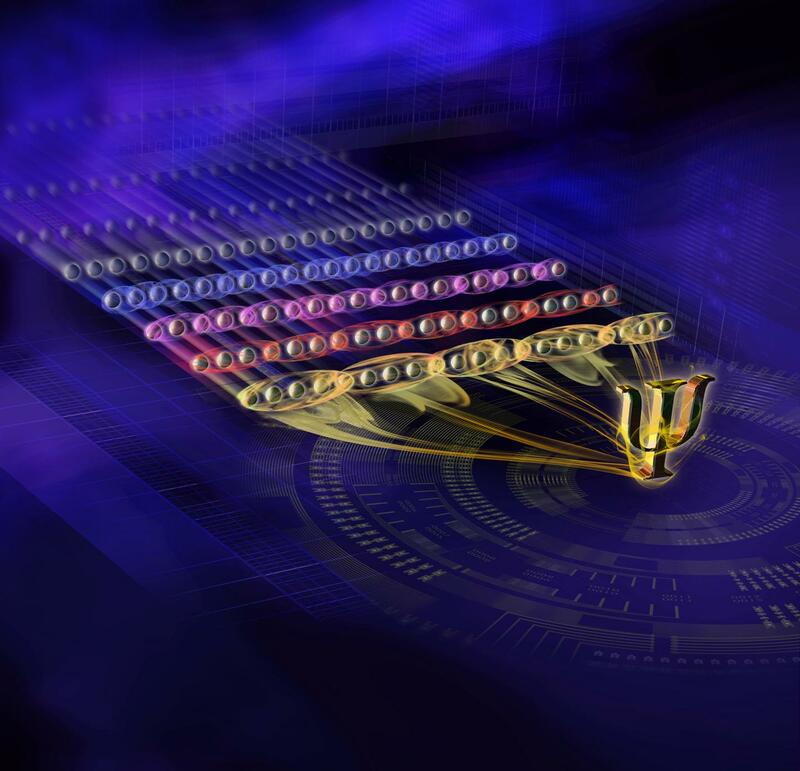 In 2011, the physicists entangled 14 individually addressable quantum bits for the first time and thus realized the largest completely entangled quantum register. Now, a research team led by Ben Lanyon and Rainer Blatt at the Institute of Quantum Optics and Quantum Information (IQOQI) of the Austrian Academy of Sciences, together with theorists from the University of Ulm and the Institute of Quantum Optics and Quantum Information in Vienna, has now realized controlled multi-particle entanglement in a system of 20 quantum bits. The researchers were able to detect genuine multi-particle entanglement between all neighbouring groups of three, four and five quantum bits. Physically, entangled particles cannot be described as individual particles with defined states, but only as a complete system. It is particularly difficult to understand entanglement when numerous particles are involved. Here a distinction must be made between the entanglement of individual particles and real, genuine multi-particle entanglement. Genuine multi-particle entanglement can only be understood as a property of the overall system of all particles concerned and not be explained by a combination of the subsystems being entangled. At the Institute of Quantum Optics and Quantum Information in Innsbruck, the team of physicists has now used laser light to entangle 20 calcium atoms in an ion trap experiment and observed the dynamic propagation of multi-particle entanglement in this system. "The particles are first entangled in pairs," describes Lanyon. "With the methods developed by our colleagues in Vienna and Ulm, we can then prove the further spread of the entanglement to all neighbouring particle triplets, most quadruplets and a few quintuplets. These detection methods were developed by Martin Plenio's research group at the University of Ulm and Marcus Huber's team at IQOQI Vienna. "We have chosen a MacGyver approach," says first author Nicolai Friis with a smirk. "We had to find a way to detect multi-particle entanglement with a small number of feasible measurement settings." The researchers in Vienna and Ulm took a complementary approach: the group around Huber and Friis used a method that only requires a few measurements and whose results can be easily evaluated. In this way, the entanglement of three particles could be demonstrated in the experiment. The theorists from Ulm used a more complex technique based on numerical methods. "Although this technique is efficient, it also reaches its limits due to the sharp increase in computing effort due to the number of quantum bits," says Oliver Marty from Martin Plenio's research group. "That's why the usefulness of this method also came to an end with the detection of real five-particle entanglement." "There are quantum systems such as ultra-cold gases in which entanglement between a large number of particles has been detected," emphasizes Nicolai Friis. "However, the Innsbruck experiment is able to address and read out every single quantum bit individually." It is therefore suitable for practical applications such as quantum simulations or quantum information processing. Rainer Blatt and his team hope to further increase the number of quantum bits in the experiment. "Our medium-term goal is 50 particles," he says. "This could help us solve problems that the best supercomputers today still fail to accomplish." The research was financially supported by the Austrian Science Fund FWF and the European Union, among others, and published in Physical Review X.